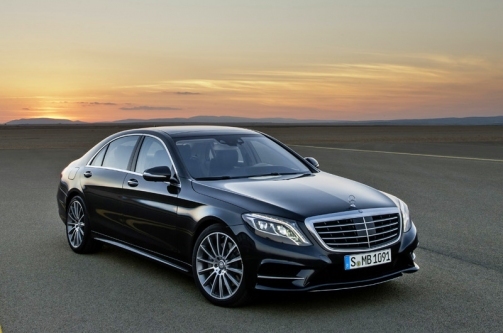 Mercedes’ new W222 S-Class is decimating its European and Asian rivals. A renaissance for a declining sector or the final gasp? Driven to write investigates. The S-Class is the quintessential Mercedes and the centre of gravity around which the entire Stuttgart-Untertürkheim behemoth pivots. None more so than today’s W222 series; which if current sales are a reliable barometer, is shaping up to be the fastest selling iteration in the model’s history. Since its launch last year, sales have massively outperformed expectations. In a declining sector, haemorrhaging volume to upmarket SUVs, the S-Class’ sales renaissance suggests the full-sized luxury saloon is putting up a credible rearguard action against the dying of the light. Well, on the surface it does – European sales have risen 152% over the same January-September period last year; a 60% stronger performance than closest sales rival, Audi. The figures make excellent reading for Daimler, with the S-Class accounting for a staggering 42% of the entire luxury limo sector, selling well over double its Ingolstadt rival. Performing at a similar level as Audi, Porsche’s Panamera has seen a 14% upswing in Europe during 2014, giving it third spot overall, well ahead of segment stalwarts; BMW, Jaguar and Lexus. Across the Atlantic, a similar story has unfolded. With US sales of 22,444 over the January to November period, sales have risen 96% in twelve months. Even more remarkable is the fact that the S-Class has outperformed the combined total of its closest three luxury saloon rivals – all of whom – (Porsche excluded) have posted significant sales declines. With volumes like this, everyone else really ought to consider packing up and giving basket weaving a try. The Mercedes is proving a huge hit everywhere – 50% of sales going to China. 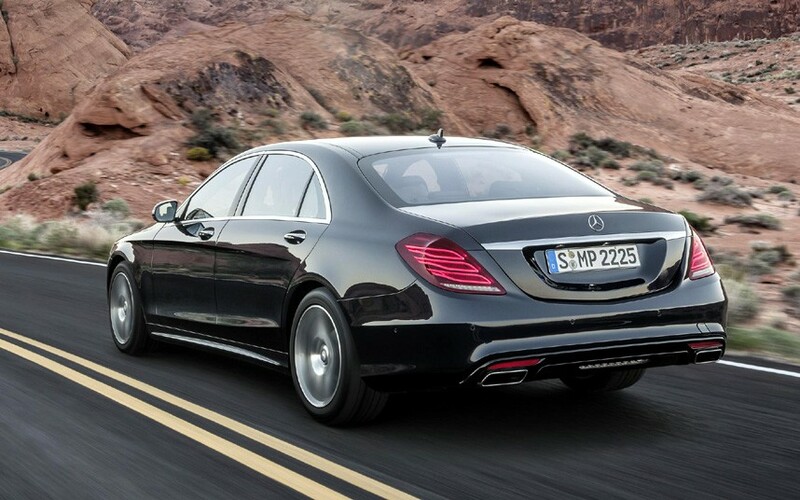 The United States accounts for 25%, followed by Germany, where one in ten S-Classes are sold. These are phenomenal figures for a high-end luxury saloon at a time of unprecedented austerity throughout Europe and amid signs of a weakening Chinese economy. The question is whether it is sustainable? 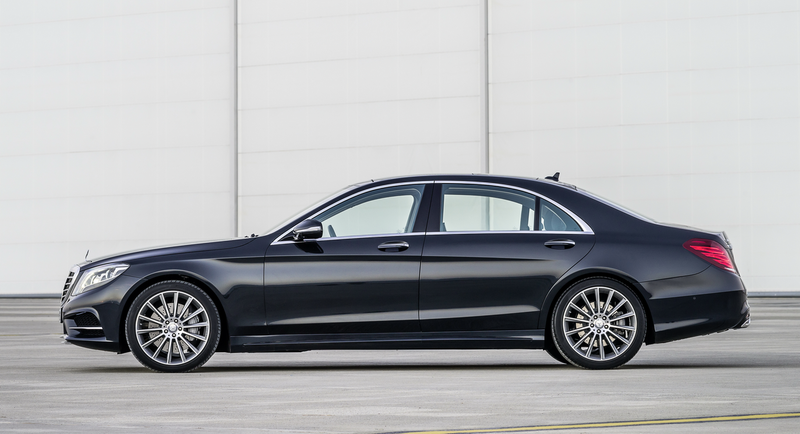 The S-Class is a new model from the acknowledged masters of the form. Rivals like Audi’s A8, BMW’s 7-Series, Jaguar’s XJ and Lexus’ LS are each well into their product cycles and can be expected to lose sales to the new luxury car king. They can equally be expected to regain some lost volume once new models come on stream. But behind the sales figures, a worrying stratification is taking place. Any significant rise in luxury saloon sales at this altitude can only be attributed to the fresh appeal of the S-Class. Remove it from the equation and the picture is considerably less vibrant. Yes, there have been sales rises elsewhere in the segment during 2014, but from a very low baseline. What is blindingly evident is that the S-Class owns the sector now, approaching 50% of its entire volume; a heavy load for one model to carry. Currently in its first flush of youth, the W222 is a sales sensation and as Mercedes-Benz continue to roll out more derivations, sales can only continue to increase. But when its appeal begins to falter – as it inevitably will, the sector is likely to shrink alarmingly, given their rivals’ inability to seriously rival Sindelfingen’s finest. For the likes of Jaguar, VW and (in Europe at least) Lexus, surely the only justification for continuing to offer a putative rival to the S-Class is one of prestige? Given the volumes they are currently attracting, and even taking into account the generous margins available to them, it cannot be economically viable to continue making full-sized luxury saloons so few want to own. While it is tempting to view W222’s dominance as being the beginning of a new reign for the all-conquering S-Class, it may actually prove to be the model’s swansong. At some point in the not too distant future, luxury SUVs will eclipse the sales of these limousines and once that tipping point is reached, the fall is likely to be rapid. Meanwhile the current market imbalance, as manifested by swathe the W222 has voraciously cut through the segment, can only accelerate the process. That interior is so complex it looks like a Paisley shirt. Despite its irksome design, the S-class is clearly a champion; its sales may stay strong for a long time as it remains the best car for those who want such a car. It’s all the others who will see diminishing sales if another product class proves more alluring than a limousine/large saloon. The S-class will be like the Peugeot 607, the last man standing in its class until demand for the class becomes insufficient to justify a new model. Is it really possible the world will reach a point (under business as usual) where there won’t be annual demand for 45,000 large saloons? I’m not sure I have a grasp on the mindset of the typical European S Class owner, let alone a Chinese one. I, and others here, have spent a lot of time slagging off Mercedes styling but of course we look at it from the wrong angle. It’s not about aesthetics, it’s about message. Mercedes styling works in saying ‘I’m Important!’. The clumsy but bigger grille says ‘I’m Even More Important!!!’. Whether you think they succeed or not, the A8 and XJ try too hard to look understated or elegant and, really, that’s not what is needed. The fact that the Mercedes is not in the best possible taste offends my sensibilities, but then take a walk down Bond Street and see all the other ways you can blow your cash on kitsch. To paraphrase H L Mencken, “ No-one ever lost money by underestimating the good taste of the great masses of the monied people”. The other thing that possibly tips the scale is the sheer amount of technology that goes into the S Class. Attempting to cast myself into the role of Important Person, would the availability of all that life saving and body cosseting kit available make me choose the Mercedes? Probably. The blanked blocks in the grille look bad. The car doesn’t look special as the 80s S-class did, does it? Not to my eyes. But the 80s S Class worked on restraint and restraint doesn’t cut it these days. For me, if I wanted to look important, and couldn’t stretch to a Phantom (which really did nail it), I feel the previous 7 Series did the job better than anything else in the past 15 years. But I think only SV Robinson agrees with me on that count. The S-Class has benefited from careful positioning, having no real rival in the circa £100-150k hinterland between their traditional big saloon rivals and the likes of Rolls Royce. Also, although it often appears ritzy in press photographs, the S-Class’ trump card is its interior. Mercedes learned much from their Maybach debacle, with a lengthy options list allowing buyers from disparate markets to tailor interior materials and colours to their tastes. Teutonic bank vault black? Check. Liberace’s boudoir? Check. Add the huge show piece LCD display and suddenly their rivals look and feel two generations behind. I evidently am not the intended customer for this interior. Upon further inspection, the dashboard reminded me more and more of the Cadillac we looked at some time back. +1 on Bangle’s 7 (and the 6 series of the same era). Re the S-class, driving down the M4 towards Heathrow on Monday morning I was amazed by the number of W222’s I saw heading towards London. I think it was only matched by E-classes (current and pre-facelift) but each S-class clearly indicated the status of their passenger as someone who is chauffeured wherever he goes. I also saw a Bentley Mulsanne but that sends a completely different message.